How awesome is that?!! 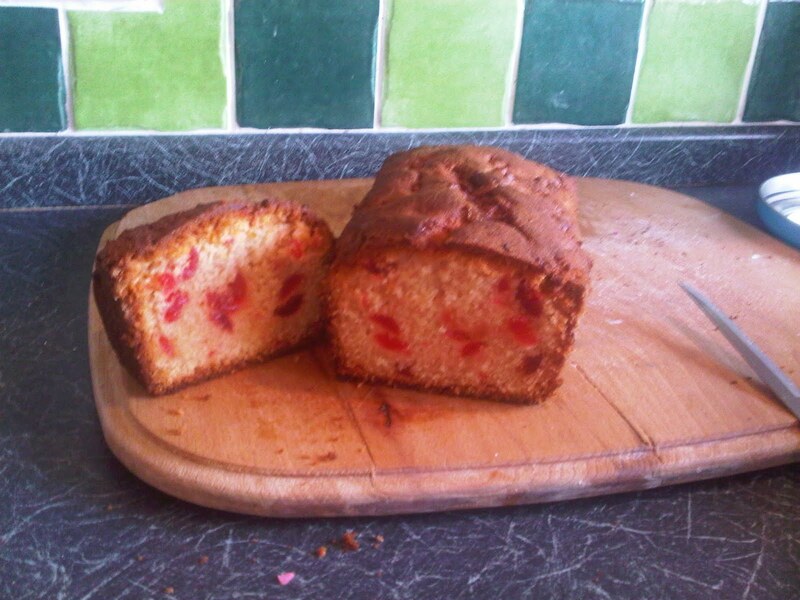 I would just like to point out here that I have NEVER made cherry cake before, this was my first ever attempt! Again, I used my British Book of Baking. 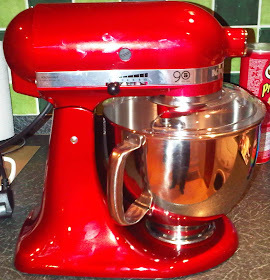 As with all their recipes, this seemed a tad faffy but, having read all the horror stories of the cherries sinking etc., I followed it word by word and look at how beautiful it is! As I say, it was very faffy, having to sift the flour onto baking parchment (never good when you're back door is open!) and then cleaning the cherries (three times!) and chopping them. The ground almonds help hugely here, as they provide enough texture to stop the cherries sinking however this won't work unless the cherries are thoroughly rinsed! I chose to use a loaf tin rather than a cake tin, which didn't really affect it at all however it did reduce the cooking time which I couldn't argue with! Unfortunately I didn't get to taste this, but my Yaya raved about it!! A few weeks ago I had a real craving for the sort of cake I used to get in first school, a moist vanilla sponge with thick icing and lots of sprinkles and custard. 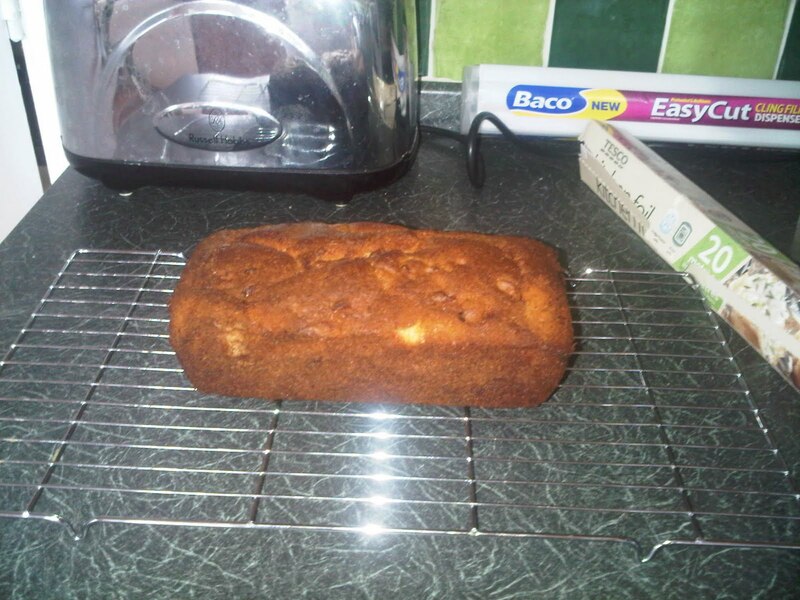 I struggled to find a really good vanilla recipe, and found that this one wasn't really up to scratch as it failed to rise and it burnt very easily (after the first 10 mins!) but it worked. 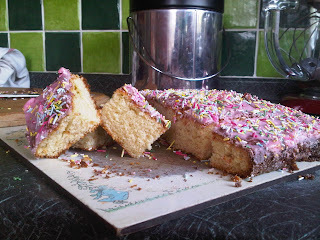 I also ran out of icing sugar so this kind of just failed from the start! This recipe was from AllRecipes.co.uk but I'm still struggling to find a really good sponge recipe, I wonder if a regular sponge recipe would work? Please help my cake disasters! 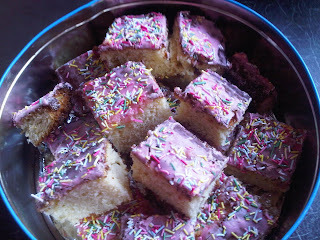 Upon reviewing this recipe, I feel it may work best as cupcakes but I'll leave this down to you!